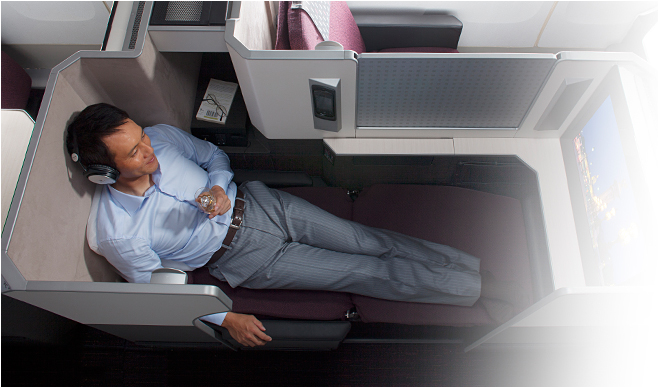 American has opened a bunch of first and business-class saver awards to Europe, Asia, and Latin America. According to VFTW, you will be able to make free changes to the dates of your flights and even the routing, as long as the departure and arrival cities remain the same. 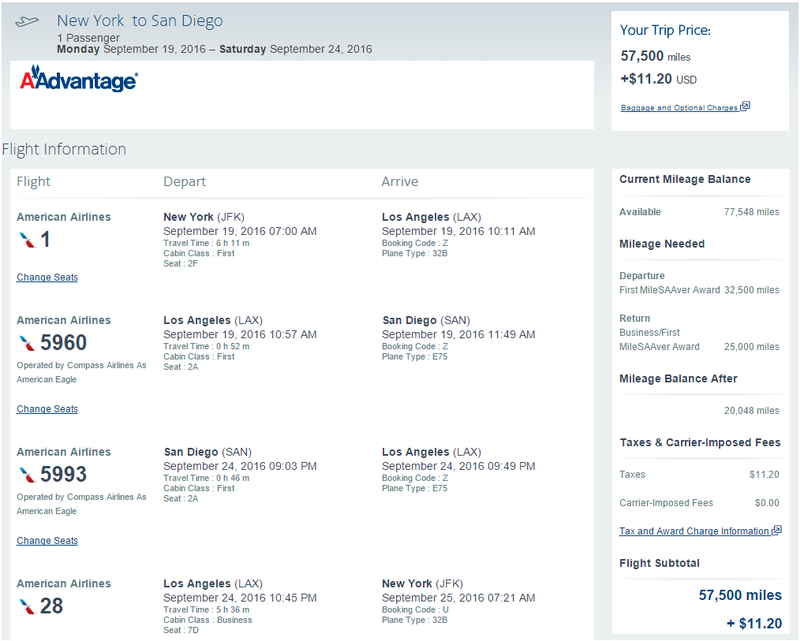 Based on the above, the only reasonable course of action, IMHO, is to book the hell out of the AAdvantage miles. Which is why I did this. 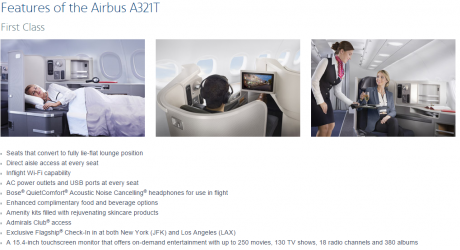 I’m going to #FINCON16 in San Diego in September, so I thought it would be a good chance to sample the new, and probably the best premium transcontinental American Airlines A321 first and business class products. The roundtrip flight has cost me 57,500 miles. 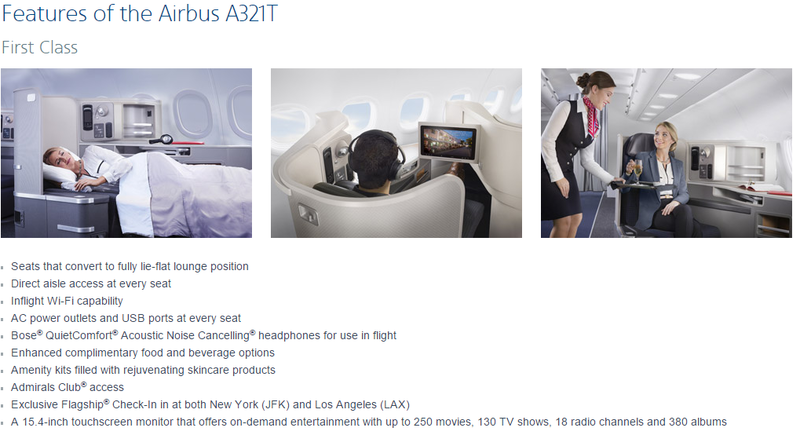 I’m flying there in first for 32,500 miles with return in business for 25,000. After the devaluation this flight will cost 32,500 in business and 50,000 in first. 3 days in Hong Kong. In October, I’m going to Manila for the #TBEX Asia conference. I’m also going to Stockholm for another #TBEX conference in July, but that flight isn’t finalized yet. Hey, don’t blame me, it’s not my fault they have these conferences in all those cool places. In any case, the first order of business (you like that?) was to book an Etihad First Apartment. Since I couldn’t find Etihad Apartments availability on the way to Asia, it had to be on return. I’m taking business class from Manila to Abu Dhabi and the Apartment from Abu Dhabi to JFK. Unfortunately, due to the AA routing rules, it had to be two rewards that cost 120,000 miles total—30,000 for MNL-AUH in business and 90,000 in the Apartment for AUH-JFK. The same two routes after March 21 are going to cost 40,000 and 115,000 miles respectively. By now, you’ve seen enough Etihad Apartment pics, but, let’s say, I just can’t help myself. By the way, Saver availability for the Apartment remains pretty good. 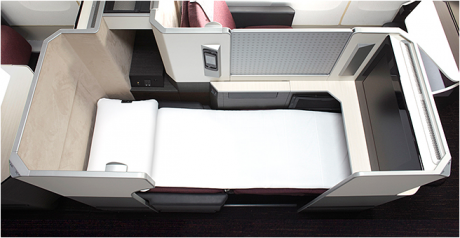 I can still see up to 3 seats in A380, but the U.S. AA representatives may not see it. 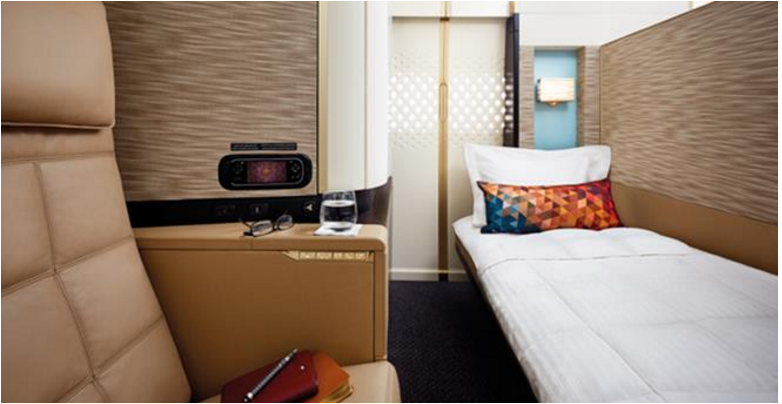 Check this post on how to find and book your Etihad First Apartment seat . 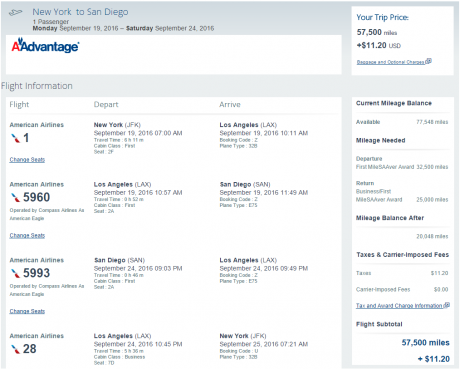 Finding premium class from NYC to Hong Kong with AAdvantage miles turned out to be more convoluted. At first I booked JFK-LAX-PVG-HKG in business on Dreamliner, but then AA flooded the market ( 🙂 ) with premium seat Saver awards in practically all directions, and I decided to go for the JFK-DFW-HKG. It was a bit less than ideal because I’d have to have a connection on the way to Dallas, but I was ready to put the award on hold when I did the search on BA and found the JAL flight via Tokyo, which is also served by a Dreamliner. I’ve heard so much about JL Sky Suites and their unparalleled (for business class) privacy, that i had to take it even though I’ll be arriving at HKG 4 hours later, around 10:30 PM. On the other hand, I’ll get to sleep for 2 hours longer. Worth it? I don’t know, we’ll see. Of course, I would rather take a non-stop Cathay Pacific flight than two connections, but unfortunately it’s not an option. if Cathay business or first opens up on my date, I’ll change, without a fee. Most AA premium award seats from this post are still available, so, once again, consider booking sooner rather than later. I’m flying from HKG and BKK on Cathay for 7,500 Avios, and from Bangkok to Manila on Thai, both in economy. The one-way flight on Thai, which I want, and which is the only one that arrives in the am, costs—incredibly—35,000 miles around $300, while United wants 17,500 miles for it. Decisions, decisions. What do you think? Tips, critique, suggestions? How long you wait for ticketng EY route for AA miles? I don’t remember, but it was quick. I put it on a 5-day hold first, though.